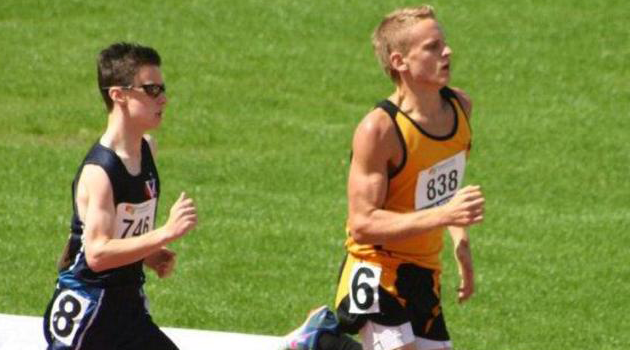 Jordan Makin is our 11th Athlete to speak to us about making the 2014 IAAF World Junior Championships Team. Members of the team will compete in Eugene (USA), from July 22nd to 27th 2014. I won my first couple of sprint races at inter-house athletics in primary school, then cross country and was approached by a coach. Ended up getting silver at my first nationals cross, really enjoyed it and kept at it. My initial reaction was a mix of relief and euphoria – a really calming feeling – was obviously pretty excited too. Called my coach – Ben Green – and began discussing training plans immediately. Not really – probably just trying to maximise and get the best out of every session and focusing on recovery between a bit more. Each session has a direct purpose as oppose to last years schedule which was pretty loose and more about regaining shape and condition. The experience – just getting out on the track against a bunch of similarly motivated individuals from different countries, donning the Australian gear and being in Eugene and all the greatness that is associated with the environment. Racing a Kenyan is something I’ve always wanted to do as well, hopefully a bit of luck in the lane draws. Looking forward to the athletes village too. I’d have to say dad in general, someone I always look up to and looking to impress and do proud. Specifically with the sport I’d probably go with Seb Coe – huge fan of his work, they say he usually travels over with the British team. Stay at it – be persistent and regardless of poor performance or set backs, always look toward the goal/desire and work towards it. Train hard and train your guts out when you need to, but still train smart. Do all the one-percenters, your lifestyle outside of training can be the difference on race day.